Feeling fruity? Go bold with a deliciously deep pink or go pastel by mixing with the in-pack conditioner - the choice is yours! Response from Schwarzkopf LIVE: Great look Demi! so pleased to hear you love the colour and thanks for your feedback! I loveee the colour it did come out like a neon pink but I'm happy with it!! Its kept the same colour for over 3 weeks as I wash it with cold water and only wash it when I need to, really great thank you!!! Love the colour but disappointed it didn’t last long enough. Why is this shade not available as a permanent colour ? Response from Schwarzkopf LIVE: Hi Dawn, thanks for getting in touch. We're sorry to hear that you didn't get the colour longevity you were expecting. The length of time a colour will last can vary from person to person depending on their individual hair type and history. You can find this same tone in our permanent LIVE Pure Purple shade. This shade is designed for natural, blonde hair so you may not achieve the right results if your hair is outside of this range currently. For the best advice on achieving a long lasting raspberry tone, please contact our Schwarzkopf Advisory Service on 0800 328 9214. Thank you. Great colour very strong and bold sticks around for along time so you got to like pink as this will last on dyed blonde hair. Response from Schwarzkopf LIVE: Hi Madalina, thanks for getting in touch. The closest permanent shade is our LIVE Pure Purple. 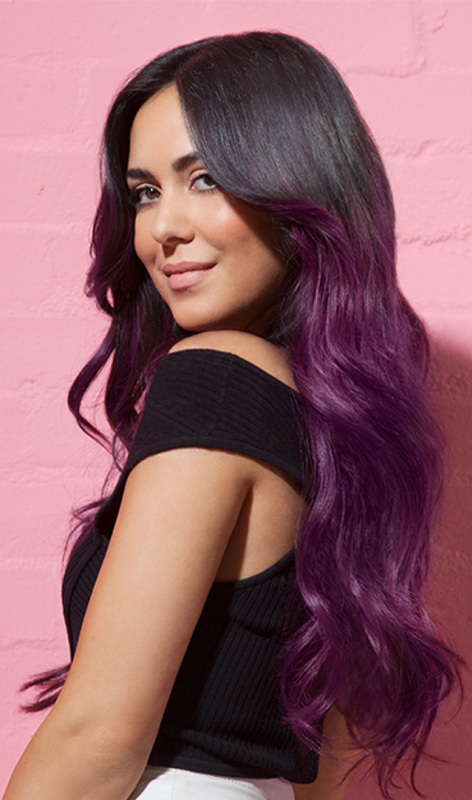 This has the same tone as Raspberry Rebel but is designed for a light, natural hair base. If you're unsure before application, please contact our Schwarzkopf Advisory team for some personalised advice on 0800 328 9214. Thank you. Response from Schwarzkopf LIVE: Thanks for sharing the review, Crystal! Response from Schwarzkopf LIVE: Hi Lisa, we're sorry to hear the colour faded quicker than expected. We'd really like to discuss this with you further so if you'd like to, please contact our Schwarzkopf Advisory team on 0800 328 9214 and an advisor will be happy to help. Thank you. I absolutely loved this colour when I first dyed my hair, and it was a beautiful vibrant colour, however it did not completely wash out, and it has left a light pink shade in my hair which I really like, but the in-between phase where it was dull was interesting to say the least. Response from Schwarzkopf LIVE: Hi Phoebe, thanks for the review. Colour longevity can vary according to each individual hair type. If you'd like some tips on how to gently remove hair colour, do touch base with our Schwarzkopf Advisory Service on Freephone 0800 328 9214 or email us at consumer.advisory@henkel.com and an advisor will be able to assist further. Thanks . Response from Schwarzkopf LIVE: Lovely to hear, Clare! Thanks for sharing. Response from Schwarzkopf LIVE: Brilliant to hear that, Michelle! I used this hair dye expecting to have a beautiful raspberry pink. However, my hair now resembles a pink highlighter. Not quite the result I was hoping for. Response from Schwarzkopf LIVE: Hi Fran, we're sorry to hear that. As with most colourants, results can vary according to individual hair type/history. We'd love to find out some more about your experience so do contact our Schwarzkopf Advisory Service on Freephone 0800 328 9214. Hope to speak soon. Hi, I have not tried this product but heard such good reviews about it.. It would be excellent to know from an expert of the hair dye, if this would take on my own hair.. It's a browny colour.. Would I need to strip it first as I'd like to go preferably bright.? Thanks sophy. Response from Schwarzkopf LIVE: Hi Sophy, this shade is designed to be used on light through to dark blonde hair - it'll give some colour on light brown shade but not as vibrant as if applied to recommend shade range. For some personalised advice we'd recommend that you contact our Schwarzkopf Advisory Service on Freephone 0800 328 9214 or email us at consumer.advisory@henkel.com and an advisor will be able to assist further. Hope to speak soon. I'm not happy at all with this product. I used it a week ago and after two washes the colour has almost completely gone. I followed the instructions to the letter and even bought two packets due to the thickness of my hair. I'm so disappointed. Response from Schwarzkopf LIVE: Hi Julie, we're really sorry to hear that you didn't get the colour longevity you were expecting. There are a few reasons why this might happen and to help you further, we'd recommend giving our Schwarzkopf Advisory team a call on 0800 328 9214. An advisor will be able to help you based on your individual hair type and colour history. Thank you. Response from Schwarzkopf LIVE: Thanks very much for the review, Susan! I'm not entirely happy with my colour when will this fade and wash out ? Response from Schwarzkopf LIVE: Hi Beck, sorry to hear you're not happy with the colour. The LIVE Ultra Brights or Pastel range is made up of semi-permanent colours designed to last up to 15 washes. Actual colour longevity can depend on your individual hair type/hair history. For tips on how to safely fade the colour more quickly, please contact our Advisory team on 0800 328 9214 and our experts will be happy to help. I thought this was a pink hair dye, due to all the pink on the packaging and the fact it looks a dark "raspberry" pink on the model. But my hair has literally gone post box red. The only reason I've given 3 stars is I've tried everything to get the dye out and it hasn't budged even a little bit. it would be a nice colour it just doesn't suit me at all. Response from Schwarzkopf LIVE: Hi Angelena, thanks for the feedback and we're sorry to hear that you didn't achieve the results you were expecting. As there can be a number of reasons why this might be the case, we'd love to have a quick chat to help you further with this. If you'd like to, do give our Advisory team a call on 0800 328 9214.